Not an Edwin Smith comparison this, but one worthy of inclusion. In 1903, Frederick Evans wrote of his photograph: “The beautiful curve of the steps on the right is for all the world like the surge of a great wave that will presently break and subside into smaller ones like those at the top of the picture. 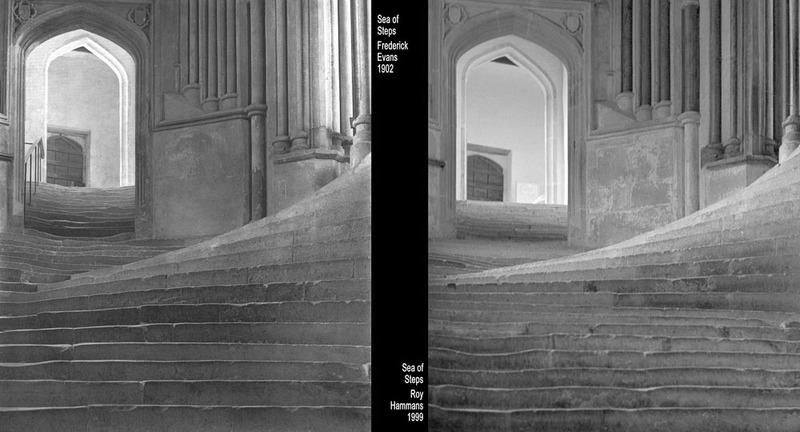 It is one of the most imaginative lines it has been my good fortune to try and depict, this superb mounting of the steps…” It was a classic image of the late Victorian age and epitomises Evans’s ‘pure’ approach to photography, without all the trappings of art and artifice so prevalent at the time. He was the forerunner of the ‘Modern’ school of photography and one of its greatest proponents. 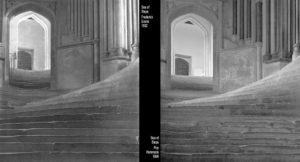 The similarities between his style and that of Edwin Smith’s is quite marked and it is very likely that Evans – along with Eugene Atget – provided inspiration for Smith. My version lacks the clarity and quality of light of Evans’. It was a hand-held exposure and is slightly unsharp. I also only had an image of the original in my mind’s eye, so was working from memory with regard to position and angle. The picture by Edwin Smith was made in 1962 and my view was made in 2013. 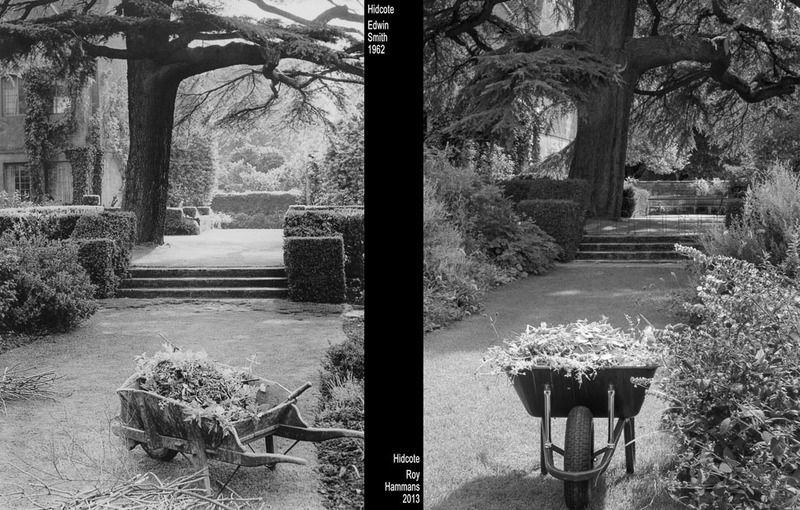 Over 50 years separates these records of the garden at Hidcote, Gloucestershire. How fortuitous that, on the day of my visit, there should be a wheelbarrow in almost exactly the same spot. A rather uncanny occurrence. Elsewhere in the grounds of the house I later found what could well have been the exact same wheelbarrow that Smith photographed. Now considerably deteriorated and obviously not in use, it nevertheless matched exactly the style and construction of the one shown here. 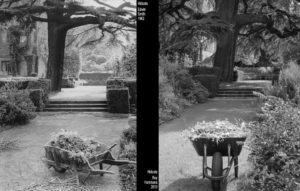 My photograph was made from a visual memory of his version and it doesn’t match exactly, but the exact viewpoint would now have been from within the enlarged flowerbed on the right – and of course the wheelbarrow would then have been out of shot! The cedar tree has substantially increased in girth in 50 years and has had some surgery, but basically this idyllic English scene remains unchanged.